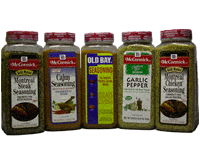 Add authentic New Orleans taste to your meals with this Cajun Seasoning blend from McCormick. 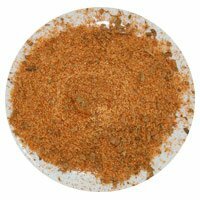 Cajun Seasoning is a delicious blend of spices that has a red color, and adds zing to many foods. 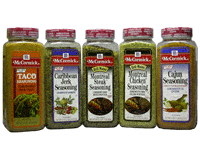 Use McCormick Cajun Seasoning to make Cajun Catfish, prawns, shrimp, crawfish, or Cajun Chicken. Cajun Seasoning is great with many other foods. Ingredients: Garlic, Salt, Onion, Paprika, Oregano, White Pepper, Red Pepper and Spices.